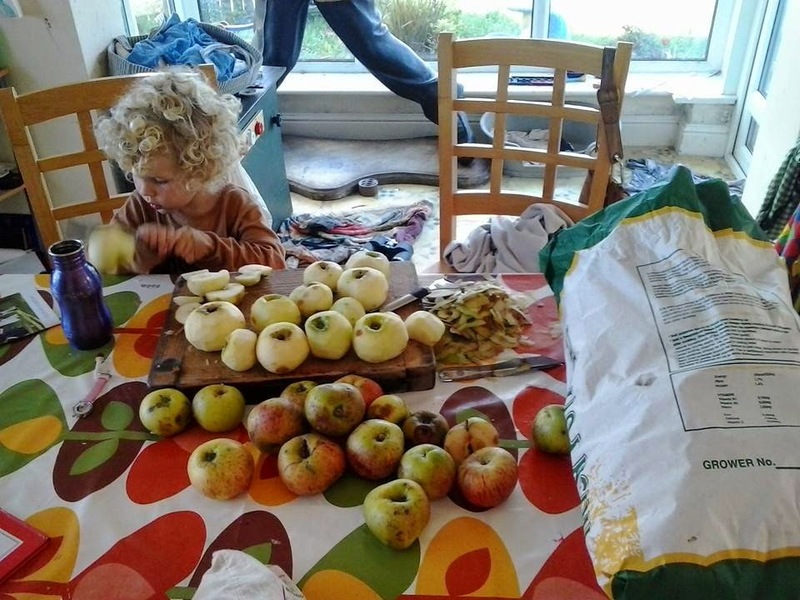 Nestled Under Rainbows: whatever happened to october? it just went past in a whirl! the carving of pumpkins... best tried out in a darkened toilet! Lots of play, taking advantage, when we could, of the mild weather we've been having. Crafting: Rebe made this 7 foot snakes out of old socks. Drawing: the kids working on spare copies of my mackerel pictures I've been working on in art class. 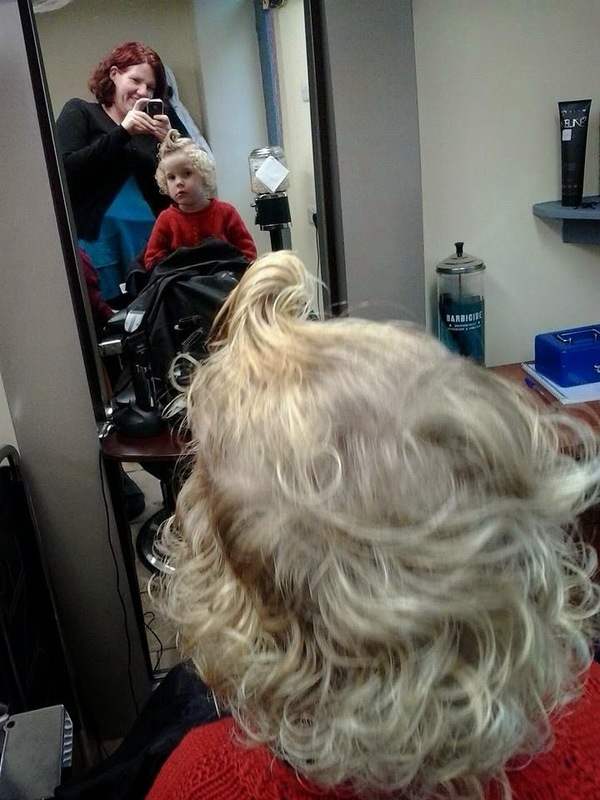 Getting hair cuts: This was Joa's first ever hair cut at a barbers. He asked the lady, 'Please can you cut my hair in a spike?' She tried her very best but even with 2 loads of extra-strong hair gel his hair wouldn't stay in a spike for more than a second. I guess the curl is too strong! I've been working away as best I could too. I made this sweet trio of dolls, little sisters that Santa asked me to make to be delivered by him on Christmas Eve (how I love that I am one of Santa's elves). and very excitingly I have finally finished writing my Under Rainbows patterns. I have been working on then for a few months; writing the patterns, taking pictures for tutorials, finding test sewers and knitters and then painstakingly getting them all put together and ready for sale in my etsy shop. 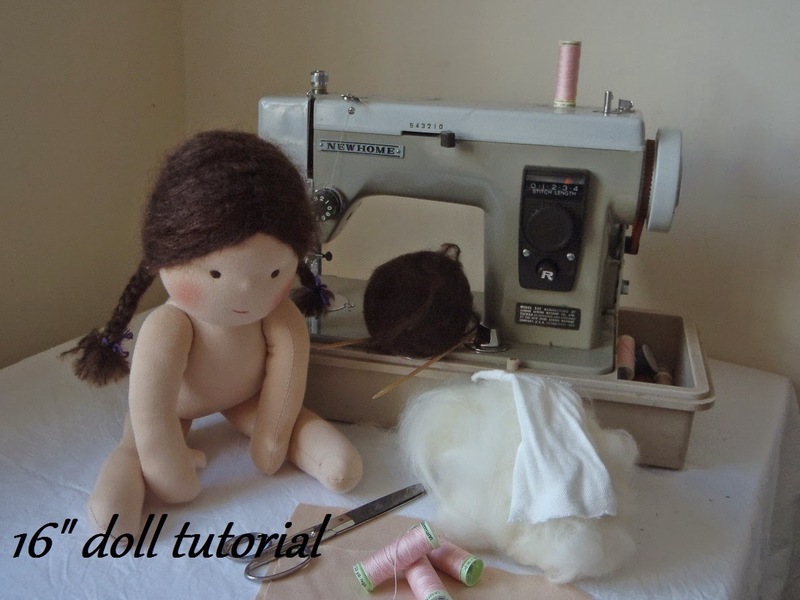 There are full doll making tutorials for both Snuggle Buddies and 16" dressable waldorf dolls and there are clothing patterns for boy and girl dolls and all sorts of knitting patterns. I am so proud and happy to be able to sell these patterns. Oh and if you use the code SEWHAPPY there is 10% off this week. 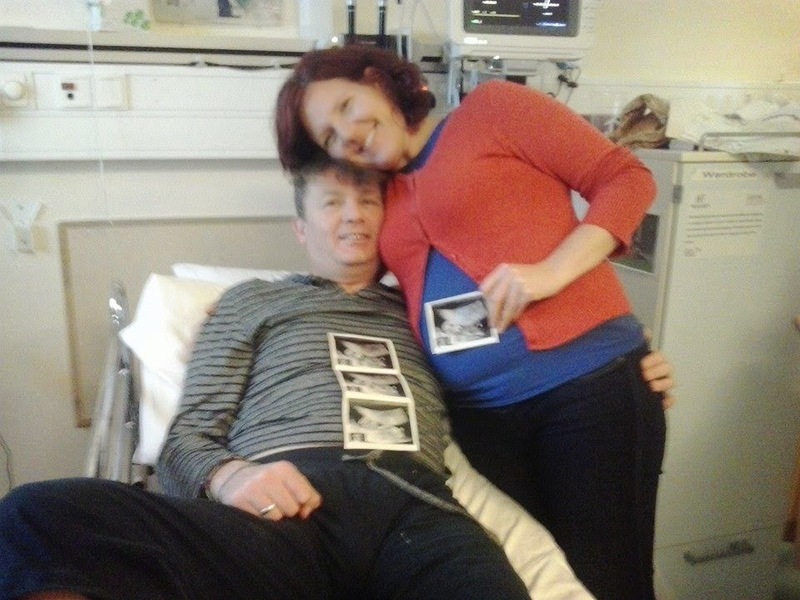 Garry was wheeled through the hospital into the maternity ward so that he could be there for our first ultra sound checking on our beautiful wee baby!!!! We are so excited and happy. I am now 16 weeks. The nausea has passed thank goodness and that awful hit-by-a-truck tiredness has gone too replaced with general pregnancy tiredness. We are due in spring, probably the beginning of May and I am feeling tiny flutterings already and I am dying to knit and sew teeny tiny baby things! Garry's operation was successful and he is now on the long road to recovery. Sp, now we are up-to-date and all of that crazy stuff is out of the way perhaps I can get back into a better rhythm again and I hope this will give me more time to blog, to record and share with you this very special time. Oh Laura, I am so glad you're feeling better!!! You're looking so wonderful too! So sorry to hear about Garry's neck, I sure hope he heals well. So much goodness here- I have been thinking of you and wondering how you're doing. Wow, congratulations! What a big month you had!